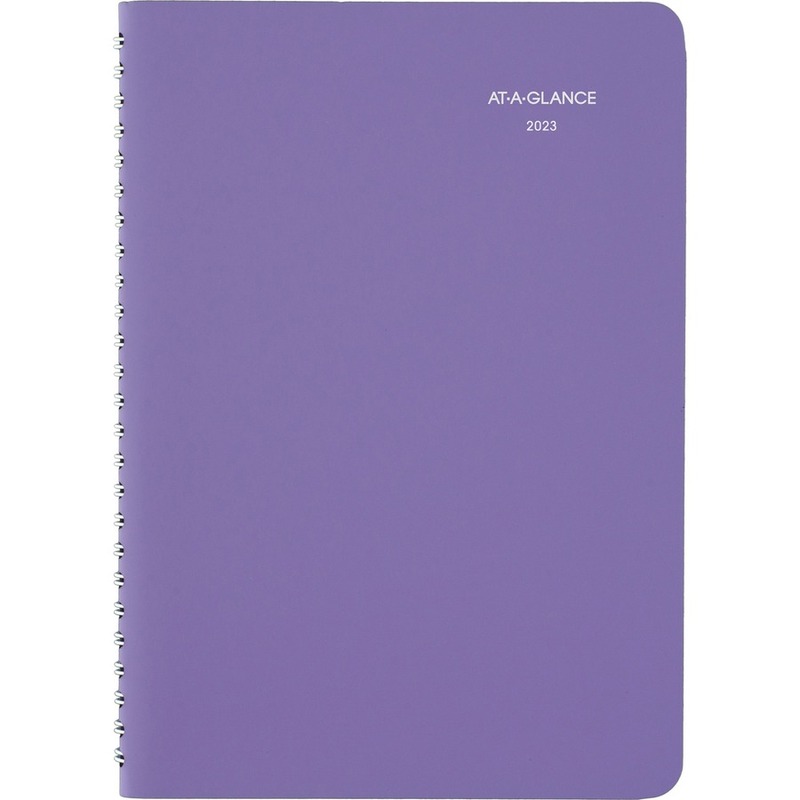 The size of the average tablet, this little lavender appointment book is small enough to tote along in your bag or briefcase, but big enough to offer plenty of planning space. 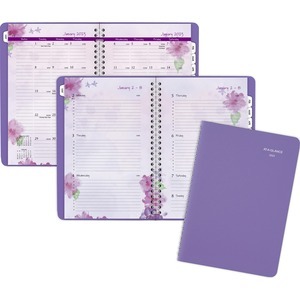 Ruled monthly and weekly sections are perfect for listing multiple appointments. Dated planning pages range 13 months from January to January. Two-page-per-week spreads offer daily ruled entries, hourly appointment times from 8 AM to 5 PM on weekdays, Monday-through-Sunday scheduling, numbered weeks, count of days/days remaining, and holidays. 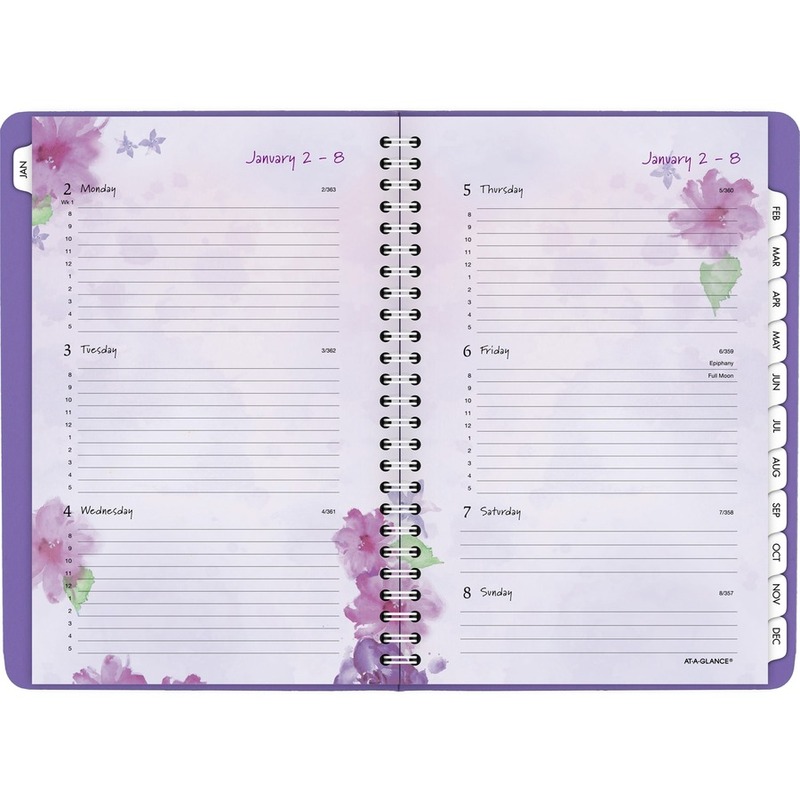 Tabbed, two-page-per-month spreads offer ruled daily blocks for easy planning, Sunday-through-Saturday scheduling, ruled notes area, and past and future months reference. 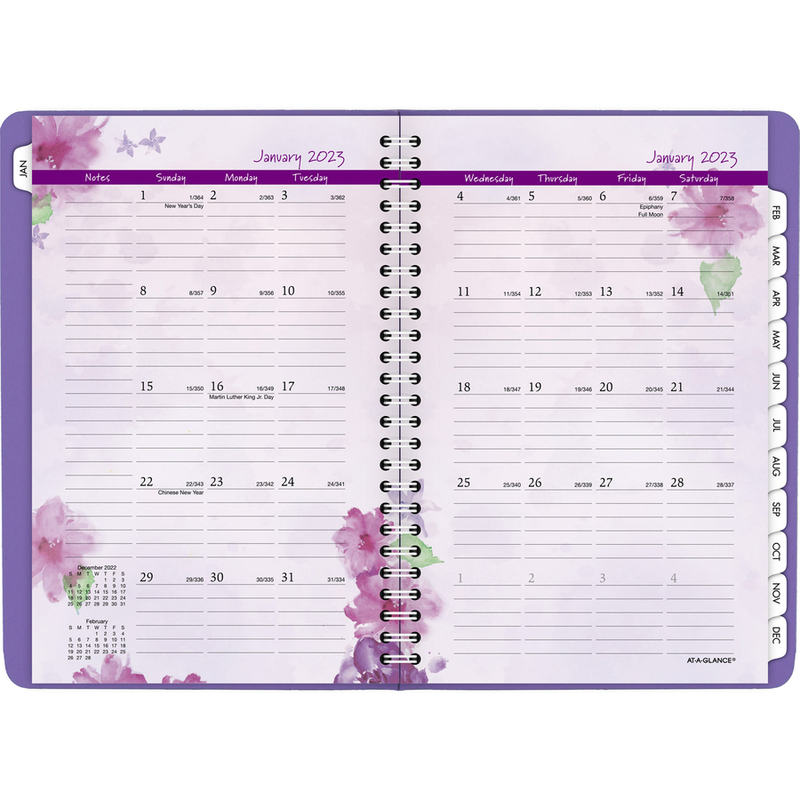 Wirebound planner also includes a one-piece suede-feel cover, three-year reference calendar, contacts, notes, events calendar and holiday list.